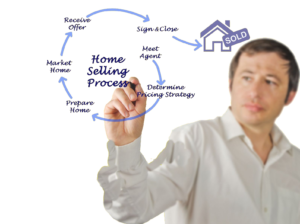 Why choose SI Real Estate to help sell your home? Real estate sales involve more than just a sign in the yard and an ad in the newspaper. It takes a limitless commitment of phone calls, emails, research, marketing, networking, meetings and implementation of sound business strategies. Selling your home is an investment in time and money that we undertake on your behalf with the guarantee that we provide you with 100% of our skills and expertise. Complete a custom CMA, using SI Real Estate’s specific methods, to determine a price point that will withstand constant reductions. Utilize cutting edge marketing tactics to help expedite the exposure and ultimate sale of your home. Negotiate! We will provide raw data to all parties when offers are made and when sale prices are being discussed so as to reach a sale price that becomes a transaction of benefit. Walk you through the financial details associated with selling your home to give you an estimate of how much money you should expect at closing after all parties have been paid. Your success depends on the sale of your home but our success depends on your complete satisfaction in doing so.